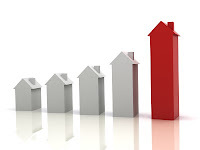 Home Values on the Rise- Don't Delay in Selling Your North Shore Home! The fall season is a great time of year on the North Shore with beautiful changing leaves and crisp weather that makes you want to head out to the nearest pumpkin patch or try a new, autumn recipe. For many, thoughts of the holidays are beginning to flood their minds and spending time with family and friends. However, there are those who are needing to sell their North Shore home this fall and the end of October is causing you to stress out about your timeline. As a North Shore Real Estate agent, I know that some sellers worry about putting their home on the market this time of year because it’s not the busy spring or summer season. Yet, the fall can be a great time to sell! Not only will you have the opportunity to showcase some beautiful autumn curb appeal; you’ll be happy to know that the market is right where you would want it to be! 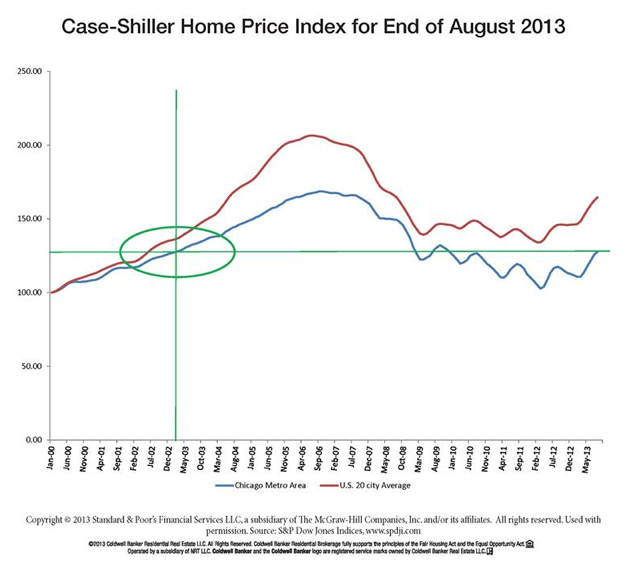 According to the recent The Case-Shiller Index, market values are up again for the Chicago metro area! This marks the sixth month in a row that values have risen. 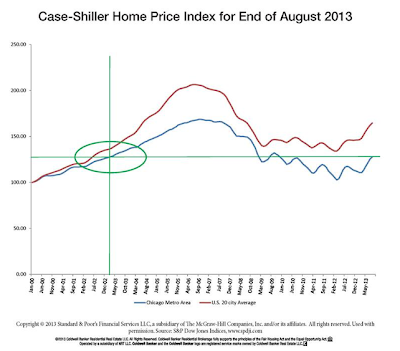 Housing values in the Chicago metro area are now at the February 2003 level and are 8.7% above August 2012. With these increased market values, sellers can feel confident about potentially getting their asking price for their North Shore home! Below are five other tips you’ll want to take into consideration as you get your North Shore home ready to sell! 1. Research- While your North Shore Real Estate agent will provide you with comparables of what other homes in your neighborhood are selling for, taking the time to do a little research on your own will help you prepare for what you can expect. Take note of home prices in your area and what upgrades those homes have to offer. 3. Act Like a Buyer- If you were looking at your home as a buyer, what would you see? Are there any updates you’d want to make such as paint, appliances or finishes? Acting like a buyer for your own home will give you insight into what you can do to make your North Shore home more attractive to buyers. 4. Make it Move In Ready- Today’s buyers have the option to be picky and many want a home that’s move in ready. Your home will need to have those key factors that are now considered standard in a North Shore home such as granite countertops and stainless steel appliances. 5. Price it Right- This is a key factor that cannot be stressed enough. Pricing a home correctly from the beginning will help you sell your home more quickly. Your North Shore Real Estate agent will work with you to show you what other homes are selling for and to determine a fair market value for your home. If your home is priced too high, it will sit on the market and you’ll eventually have to lower your price. If you decide on a price that is the lowest you’d like to go, be prepared to offer buyers other incentives such as closing costs or a flexible closing date. More than likely, you’re goal is to sell your North Shore home before the Christmas season. If you’re ready to put your home on the market; I would love to talk with you more! We can determine a customized home selling plan that will help your home sell in a timely manner. Fun Halloween Events This Weekend on the North Shore! It’s hard to believe we’re nearing the end of October and that the fall season is in full swing here on Chicago’s North Shore! 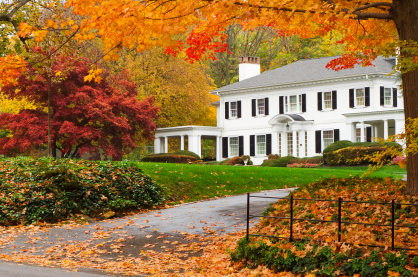 In living and working on the North Shore for a number of years, I know autumn has such a vibrant way of making you feel right at home in Deerfield, Glencoe, Winnetka, Northbrook or Highland Park. These communities are each unique and provide an excellent lifestyle for residents. My work as a North Shore Real Estate agent has me very involved within these towns and what’s happening. I love being able to share with potential buyers what makes each area unique and helping them determine which community best fits their needs. Whether you’re considering moving to the North Shore, have recently moved or are a long time resident; there are a few events taking place this weekend just in time for Halloween that you won’t want to miss! - Head to Downtown Highland Park this Thursday for a special night of Trick-or-Treating! Retailers throughout the central business district of Downtown Highland Park will be handing out candy to costumed kids trick or treating from 3:00 to 5:00 pm as a fun and safe way to celebrate Halloween. Enjoy the festive hocus pocus and treats while shopping through the 130+ retail locations in Downtown Highland Park! The fun continues in Port Clinton Square from 3-6pm where families can enjoy live music, hayrides, pony rides and train rides for children. 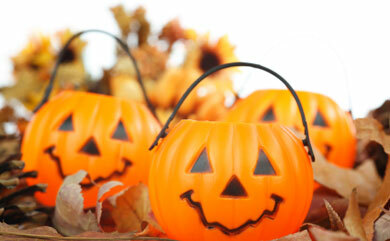 In addition, Renaissance Place will be hosting a number of exciting Halloween-themed activities. Enjoy a photo booth, cotton candy, tattoos, a DJ, and street entertainers. For more information on this festive evening, visit the Downtown Highland Park website. - Don’t miss the Downtown Trick or Treat this Saturday in Deerfield! Shops in Downtown Deerfield that feature an orange pumpkin sign in their windows have treats on hand for kids to enjoy! This is a fun and safe way to go trick or treating while also getting to know local businesses! For a full listing of participating merchants, you can visit the Deerfield Chamber of Commerce website. Come visit our Halloween Hound Parade! - Do you have a pet that loves getting dressed up for Halloween? You’ll want to be a part of the Halloween Hound Parade this Saturday in Deerfield Square! All pets are welcome and are eligible to receive a prize from Whole Foods for Best Costume. Even if you don’t have a pet, you’ll enjoy seeing the creative costumes on these adorable pets! This event is sponsored by the DBR Chamber of Commerce and Whole Foods Market in Deerfield. For more information, please contact the Chamber at 847-945-4660. - Enjoy complimentary treats and activities this Saturday at the 2nd Annual Northbrook Court Halloween Party! You’ll have a chance to make Halloween arts and crafts and even learn the choreography to Michael Jackson’s song “Thriller.” Kids will also be invited on stage for a Costume Contest where all participants and winners will receive a prize from favorite Northbrook stores! Learn more about this fun event on the Northbrook Court website. I hope you’re able to get out in the community and celebrate this candy-filled holiday! If you are considering moving to the North Shore and would like more information on the North Shore Real Estate market; please feel free to contact me today! Move-Up Home Buyers On The Rise! As a North Shore Real Estate agent, I’ve been encouraged by the North Shore Real Estate market this year. As a whole, the nation is experiencing a resurgence of activity on the market and an uptick in sales, and the same goes for Winnetka, Deerfield, Northbrook, Glencoe and Highland Park! As mortgage rates continue to increase, buyers are seeing this as an opportune time to buy and are on the hunt for their dream home on the North Shore this fall. In fact, now is a great time for move-up buyers! Those that felt stuck during the economic downturn are finding that, because of the increase in home prices, now is a great time to sell and finally move into their ideal home or location. According to recent data from real estate website, RealtyTrac, 40% of all homeowners now have at least 20% equity. This is due to the significant increase in home prices during the first seven months of 2013, which has been the fastest increase since 2004. That means those who once felt they had no where to go with their current home can now easily jump back into the real estate market! Market statistics from the National Association of Realtors are showing that, although first time home buyers percentages have dropped; sales have surged proving that second and multiple time home buyers are finding the market is prime for moving up! Nationally, sellers are finding it easier to sell due to a more limited inventory, which means move-up buyers will need to act quickly if they find a home they love. Fortunately for us along the North Shore, there are a number of beautiful homes on the North Shore Real Estate market that are ideal for the move-up buyer! This trend is also creating a broader inventory for first time home buyers who are looking for a great starter home. All in all, these are continued signs of how the national housing market is improving and why now can be an excellent time to jump into the real estate market on the North Shore! If you’d like to learn more about North Shore homes currently on the market, or have questions about buying or selling your home; please don’t hesitate to contact me today! Glencoe Active Listings: There are a total of 74 properties actively on the market with the average price of $1,742,159 in Glencoe. Glencoe Sold Listings: 20 properties closed last month in Glencoe with an average sales price of $1,229,100, the average time on market for these properties was 38 days. Highland Park Active Listings: There are a total of 204 properties actively on the market with the average price of $1,250,457 in Highland Park. Highland Park Sold Listings: 52 properties closed last month in Highland Park with an average sales price of $683,688, the average time on market for these properties was 65 days. Northbrook Active Listings: There are a total of 194 properties actively on the market with the average price of $672,239 in Northbrook. Northbrook Sold Listings: 56 properties closed last month in Northbrook with an average sales price of $415,946, the average time on market for these properties was 57 days. Winnetka Active Listings: There are a total of 111 properties actively on the market with the average price of $2,302,042 in Winnetka. Winnetka Sold Listings: 19 properties closed last month in Winnetka with an average sales price of $1,264,342, the average time on market for these properties was 59 days. Deerfield Active Listings: There are a total of 92 properties actively on the market with the average price of $635,301 in Deerfield. Deerfield Sold Listings: 32 properties closed last month in Deerfield with an average sales price of $472,334, the average time on market for these properties was 32 days. 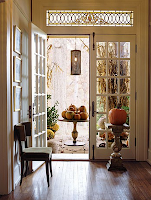 Buying a North Shore home in the fall can be a very exciting time as the backdrop of changing leaves and cooling temperatures beckon us all to spend more time indoors. However, you may be wondering if now is a good time to buy. The busy spring and summer markets have ended, and thoughts of not being able to find the right home with more limited inventory have you second guessing your decision. As a North Shore Real Estate agent, I can attest that the fall can really provide some home buying perks! First of all, you’ll find you have less competition when looking at North Shore homes. Secondly, sellers tend to be more willing to negotiate price and work within your timeline because they’re hoping to have their home sold before the holiday season. If you are planning on moving forward with the home buying process this fall, you’ll want to be sure to be as prepared as possible! This means having your financing in order, as well as making a list of wants and needs; which will help you narrow down your search. Below I’ve listed five other key aspects you’ll want to look for when buying a North Shore home. Take a look! 1. Layout and Space- Know your goals for the home, whether it’s a long term home or a home that you’ll use for hosting family and friends. Floor plan, along with the number of bedrooms and bathrooms, play a role in how comfortable and efficient your home is for you. Although you want the most space for your money, buying a home that’s too large may not be in your best interest. 2. Location- It’s often said that location is key, and that’s very true! You can always make changes to the interior and exterior of your home, making it look exactly as you would like, but you cannot move your home to a new location. Be sure that the location you choose matches your desires for things such schools, work, daily errands and community. A home that’s a good price, but is not in the community that fits you best may not be the home for you. 3. Kitchen- For many, the kitchen is the “heart of the home” so you want to know you enjoy the space! Remodeling is always an option, but is a huge undertaking and can become very costly. Determine what projects you’re willing to undertake and the costs associated with the remodel. 4. Closets and Storage- Not having enough closets and storage can be a huge point of frustration in a home. Be sure to check closets and storage options in a potential home. It will make life much easier in the long run. 5. Finishes- Look at those special details that make the home stand out. While this is minor, it is still what makes a home feel pulled together. If you absolutely love the home, but aren’t keen on the finishes; buy it. You can always make additional updates later! Thinking through these features in a home will really help you hone in on what North Shore home will work best for you! If you’d like to begin your North Shore home search, or are interested in learning more about the current North Shore Real Estate market, please contact me today!